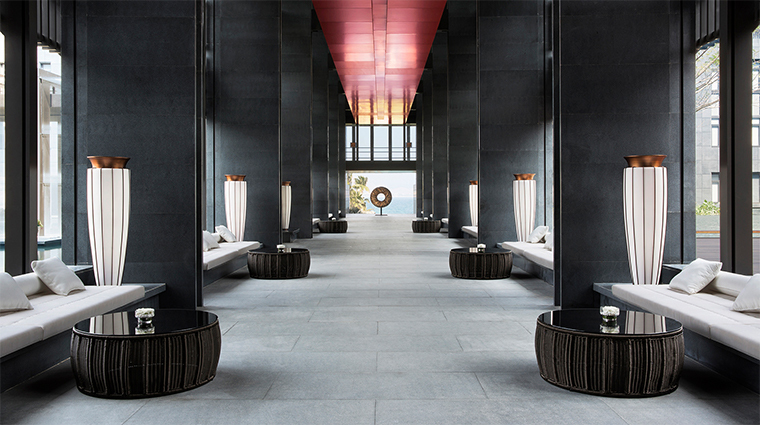 A winding private road curves around Hainan Island’s southern coastline, until it finally culminates neatly at Park Hyatt Sanya Sunny Bay Resort. 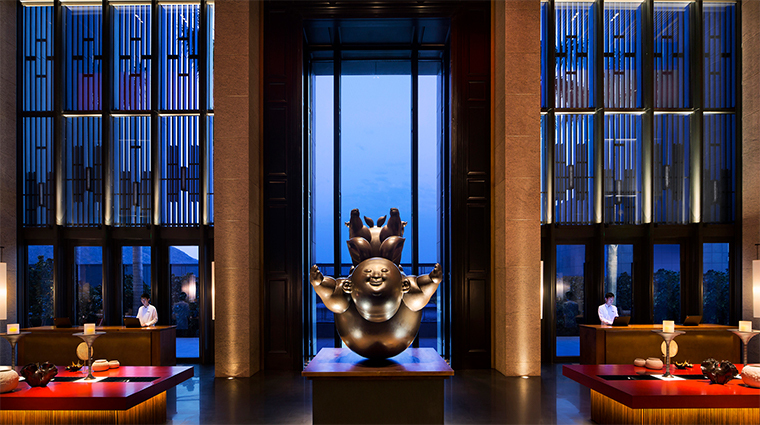 In its secluded Yalong Bay location — about an hour’s drive from Sanya Phoenix International Airport — the luxurious retreat resembles ancient Shanghainese mansions with sky-high ceilings, sculptures, paintings and rich red accents. 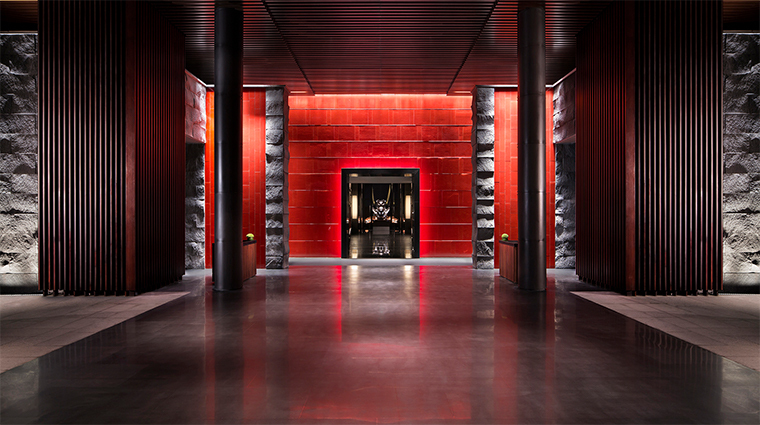 Designed by award-winning Belgian architect Jean-Michel Gathy, the hotel embraces contemporary Chinese culture with a nod to the past, especially in the alfresco corridors and arched doorways that let chi (positive energy) flow throughout the premises. 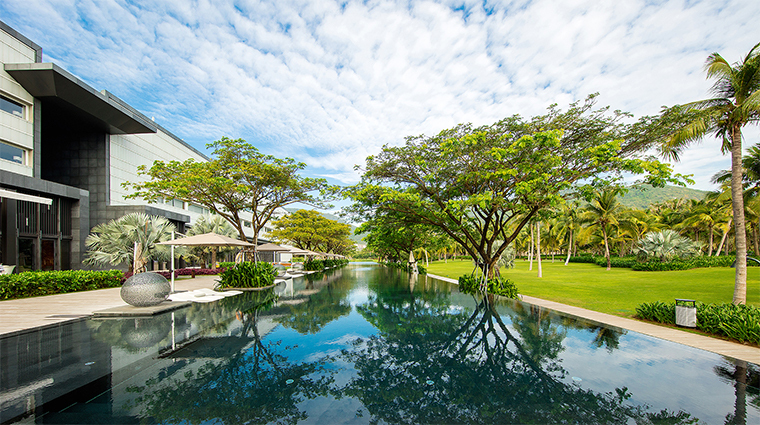 No matter where you wander, every corner of the 753,474-square-foot resort sets out to showcase the natural surroundings, from the floor-to-ceiling windows in the rooms to the open-air restaurants and the more than 400-foot-long Sunny Bay Pool. 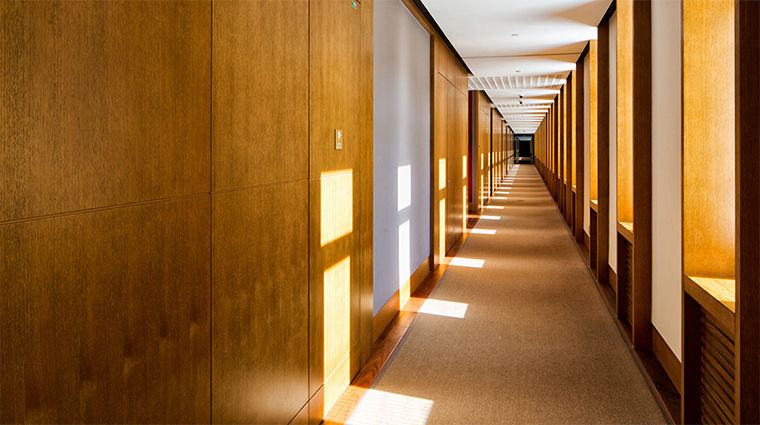 The dramatic entranceway will remain etched in memory. Picture a four-story foyer with deep red bricks, wooden latticework and floor-to-ceiling windows to frame the ocean beyond. The crescent-shaped private beach continues for five miles along the coast of the South China Sea, with clear water, soft sand and colorful coral reefs. The spa is just a quick buggy ride away from the main resort. 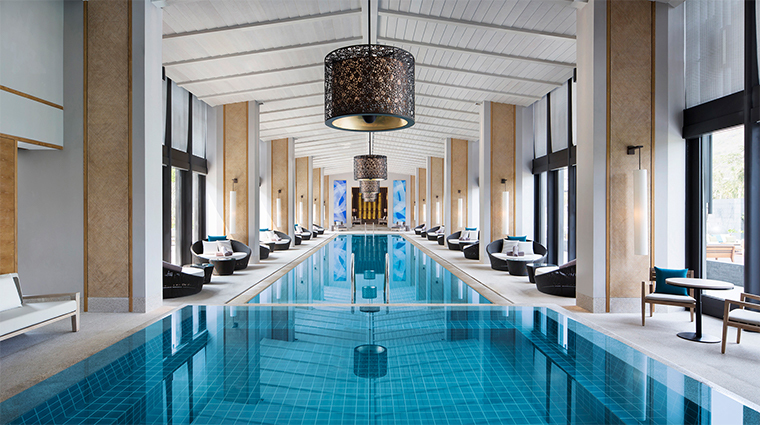 Its Chinese-style philosophy is complemented with open-air courtyards and freestanding villas where you tuck in for treatments. While more than a dozen other hotels share the same beach, the closest neighbor is about three miles away. As a result, the retreat retains a secluded feel in the cove’s western corner. The outdoor activities are endless — choose from five swimming pools, hiking, boating, kayaking, diving and more. Pack your scuba gear. Baifu Bay — also known as Fortune Bay — next door is said to be one of the best dive sites in China. 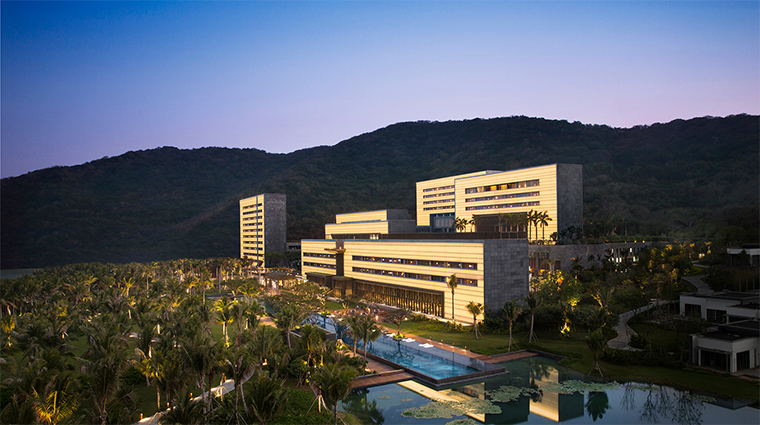 The Sanya hotel is tucked away in a private corner of Yalong Bay, making it easy for you to explore the nearby Nanshan Temple and Butterfly Valley, which is home to more than 2,000 species of these fluttering beauties. If traveling with children, there’s a dedicated kids’ pool as well as a handy Camp Hyatt, where you can drop off little ones for cooking classes and treasure hunts while you soak up some sun. 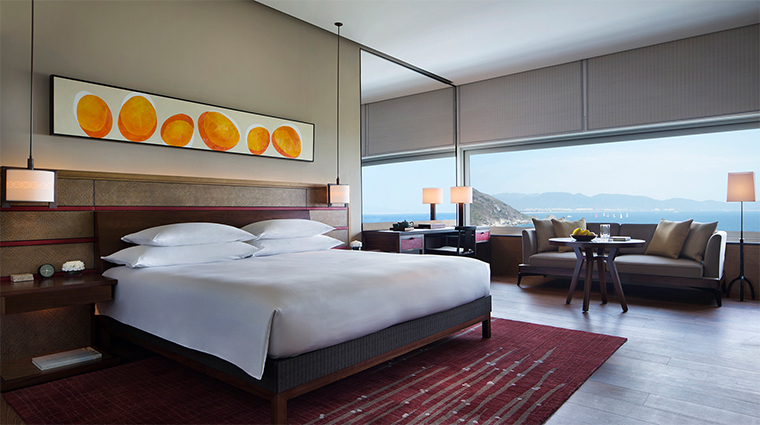 Ranging from 667 to 2,583 square feet, each of the 205 rooms and villas faces the ocean. The contemporary interior design combines elements of old-world China — like red accents and textiles — with leather and wood for a warm feel. The bathrooms are a highlight, featuring stone soaking tubs and enormous rain showers by the window, so it feels like you’re bathing in the ocean. There are also 17 two-bedroom private villas up for grabs. Encircling a manmade lake near the main resort, each villa comes with a full kitchen, a private pool, a butler and traditional Chinese courtyards. For casual all-day dining, there’s the Dining Room, Pool House and nearby Pool Bar, where you can enjoy a mix of easy international snacks, like pizza, Mediterranean-style salads, seafood and steaks. 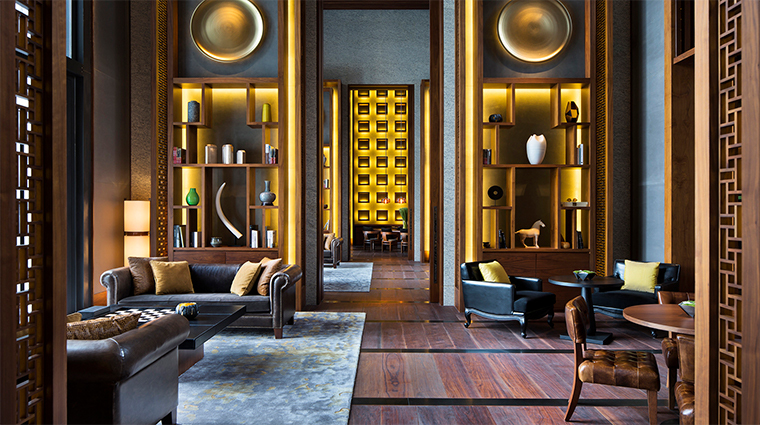 Clear and crisp nights will take you to the Terrace for cigars and cognac, while the indoor Library offers an intimate lounge-like atmosphere surrounded by books. For something more traditional, peek into Tea House. Home to 30-foot-high ceilings and hanging birdcages, this restaurant serves a long list of Chinese teas and traditional Chinese comfort food. If you’re in the mood to celebrate, the luxury hotel can arrange a private champagne breakfast on the beach or a sunset dinner on a yacht.